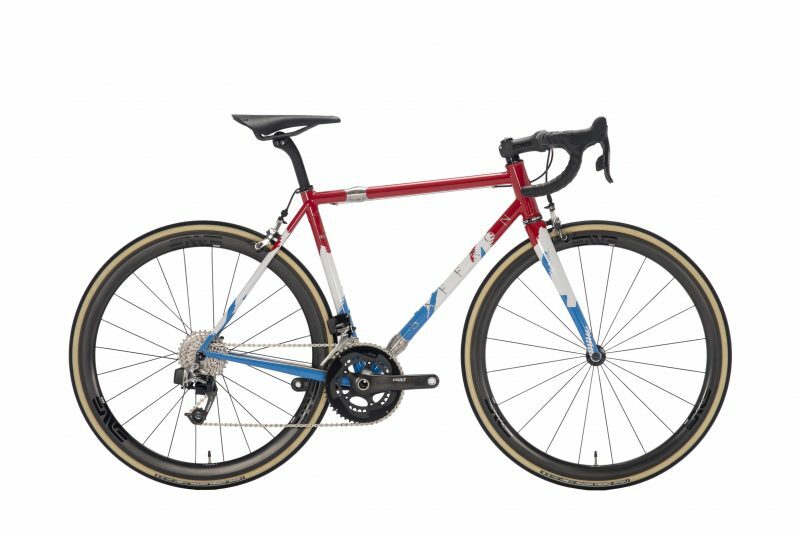 William came back to cycling a little later in life, and after falling in love with the freedom and friendship the sport can give he decided to commission his dream bike from us. 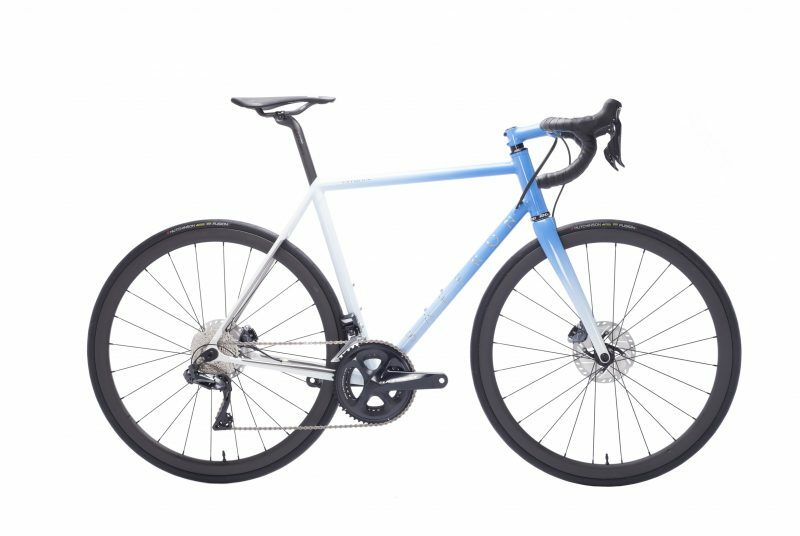 Quite a step up from his hybrid! 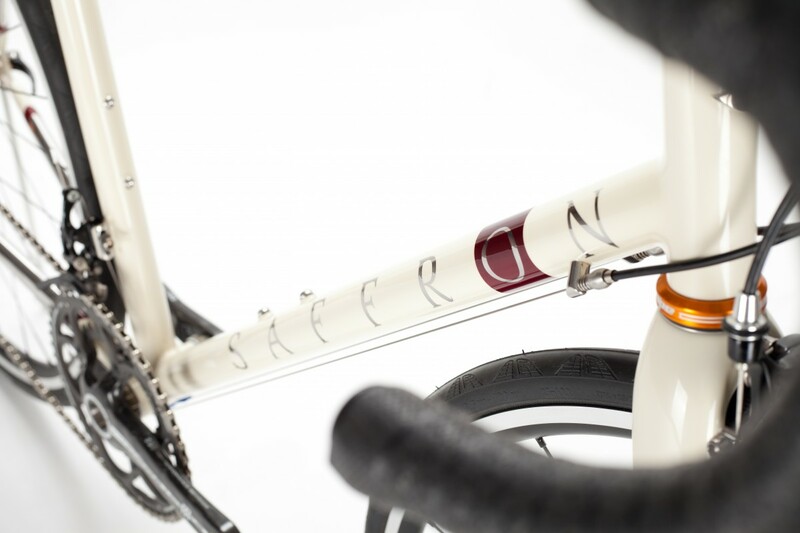 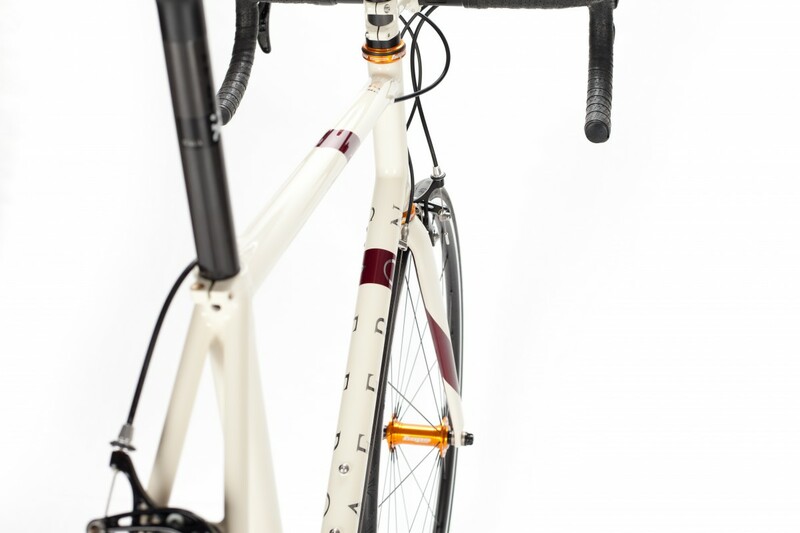 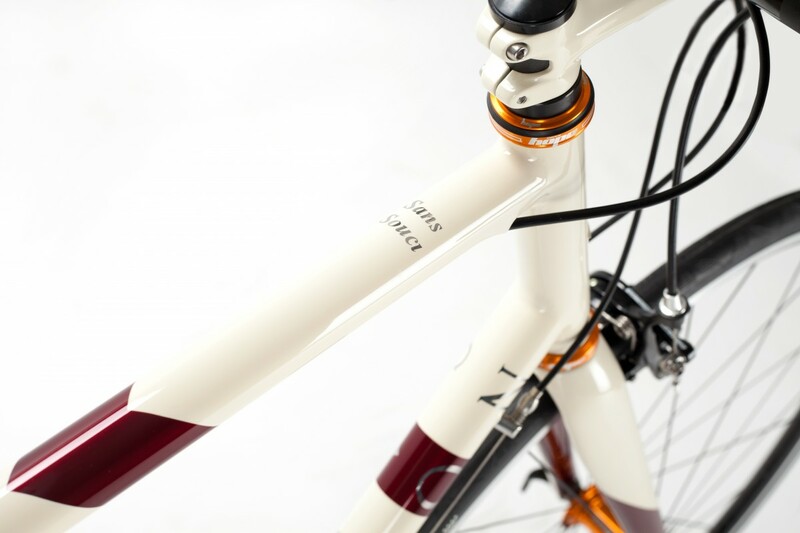 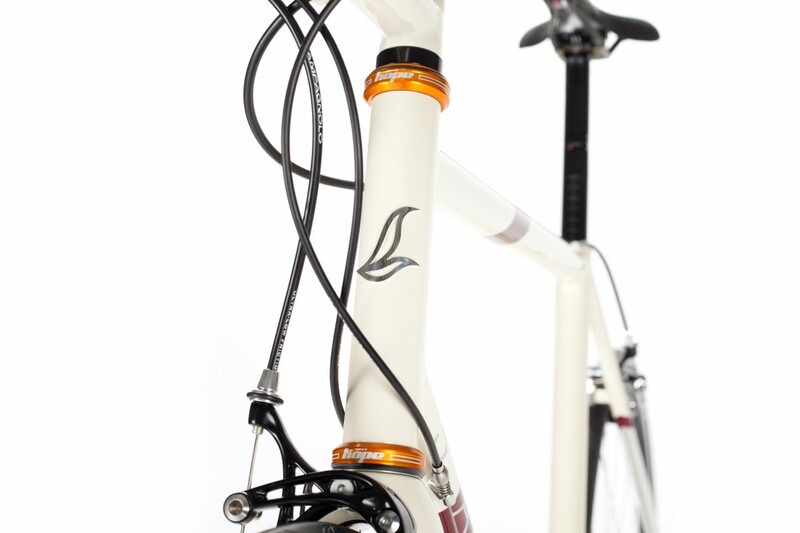 It was clear from the start that William wanted lightweight bike with a clean and simple aesthetic, classic lines and some small custom features such as specially machined dropouts. 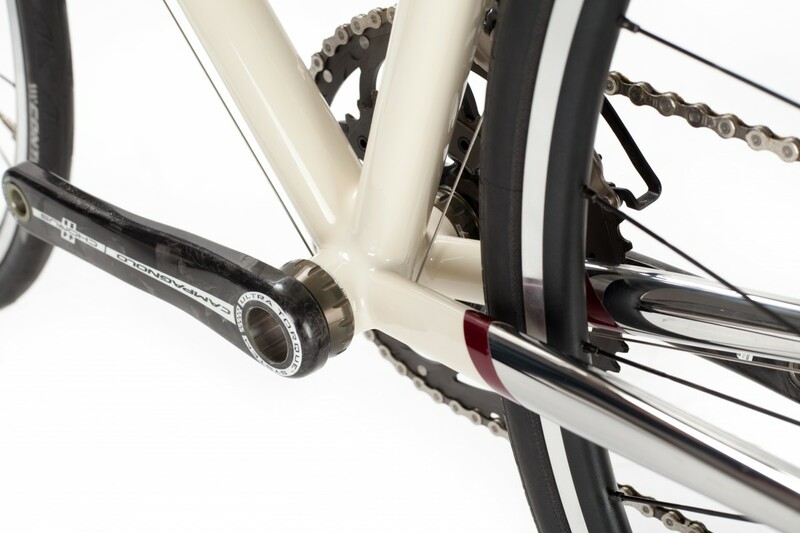 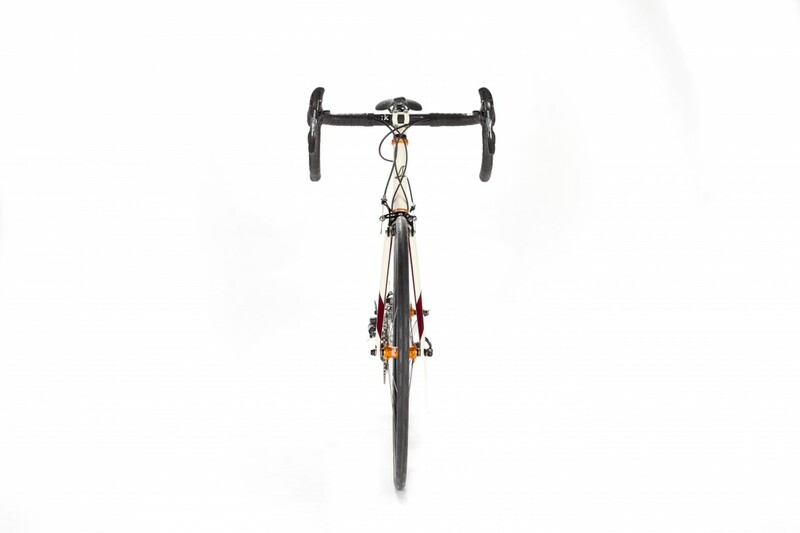 The frame is constructed completely from Columbus XCR stainless steel tubing. 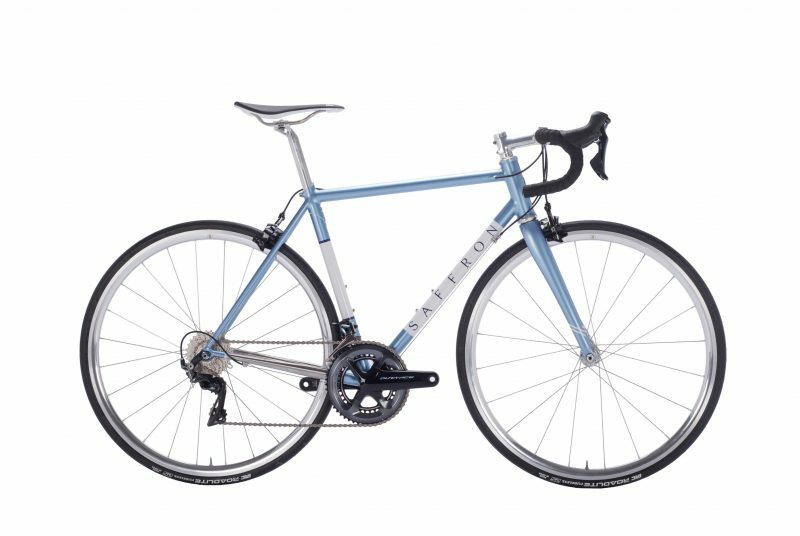 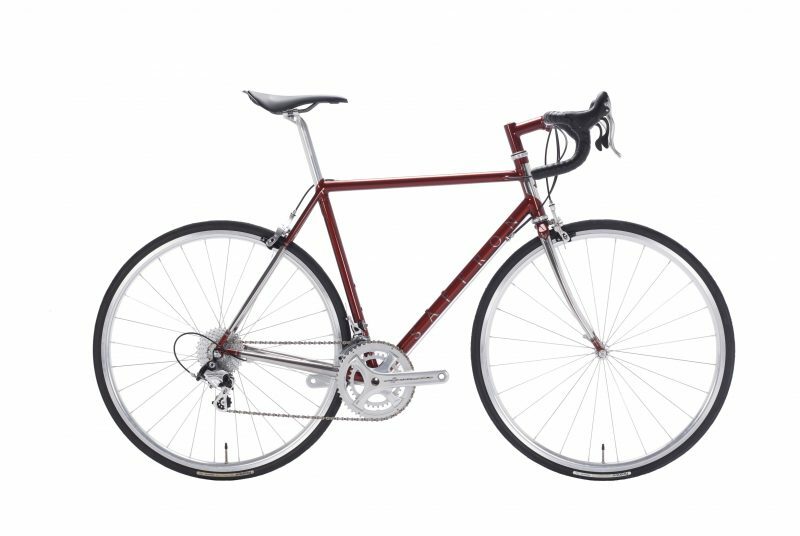 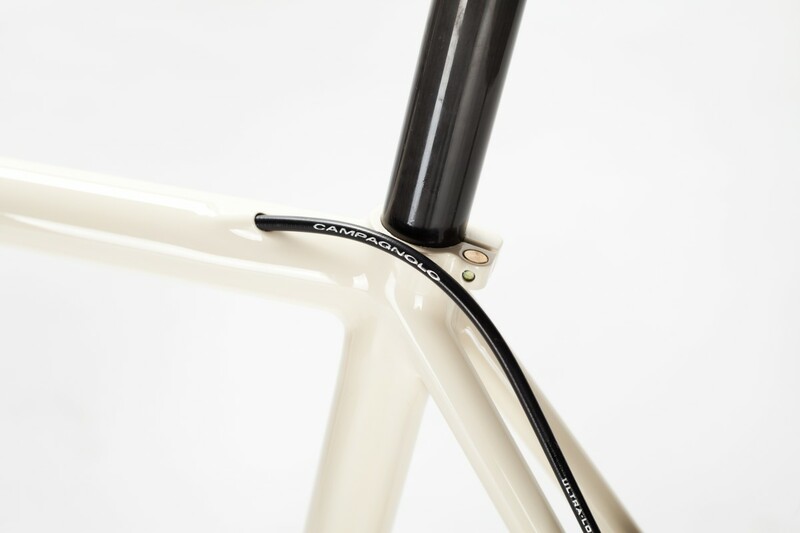 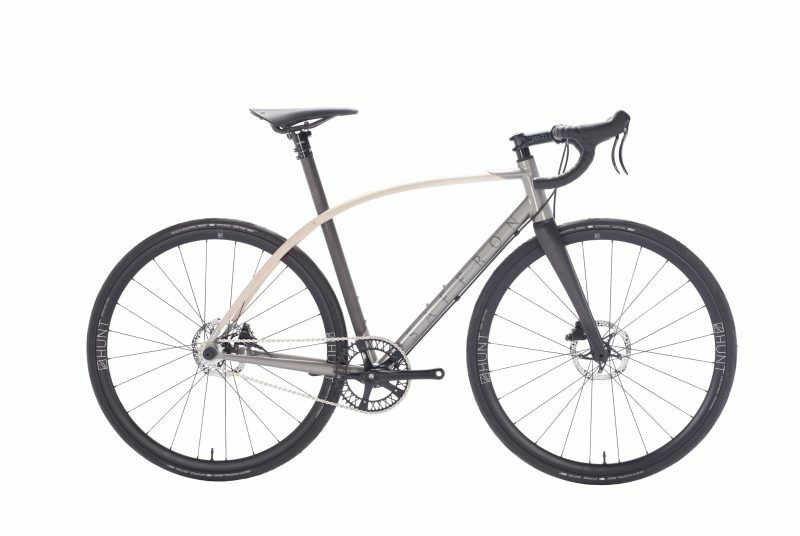 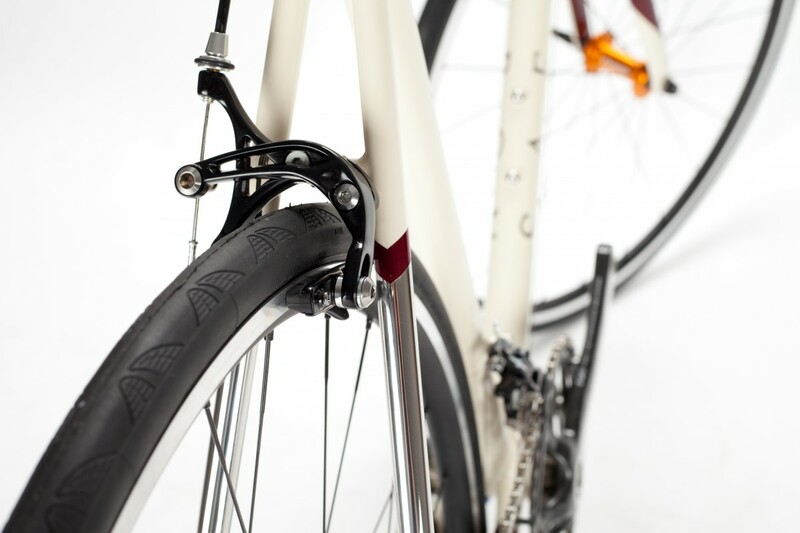 We chose to keep the tubing diameters slightly smaller than we would perhaps normally for a frame of this size because the William is very light, and is much more interested in comfort than out-and-out speed. 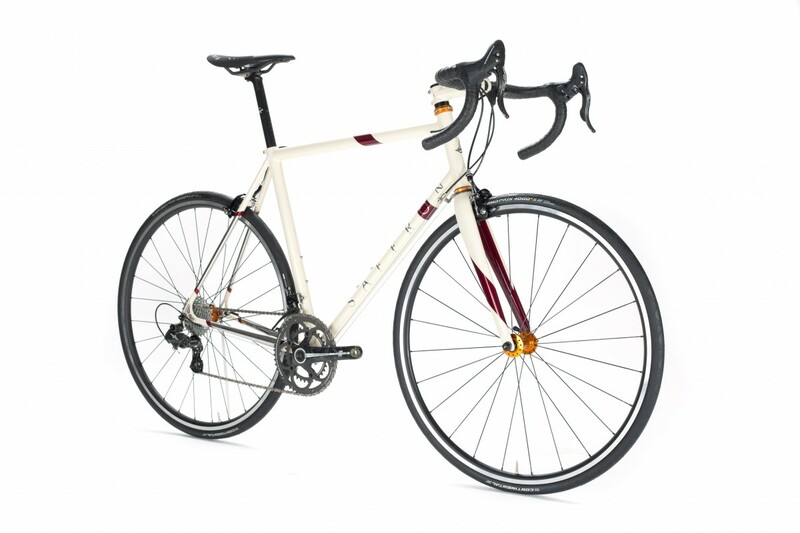 When William was younger he used to own an MG in a colour named “Old English White”, cars with this paint colour were often fitted with red leather interiors – perfect paint inspiration! 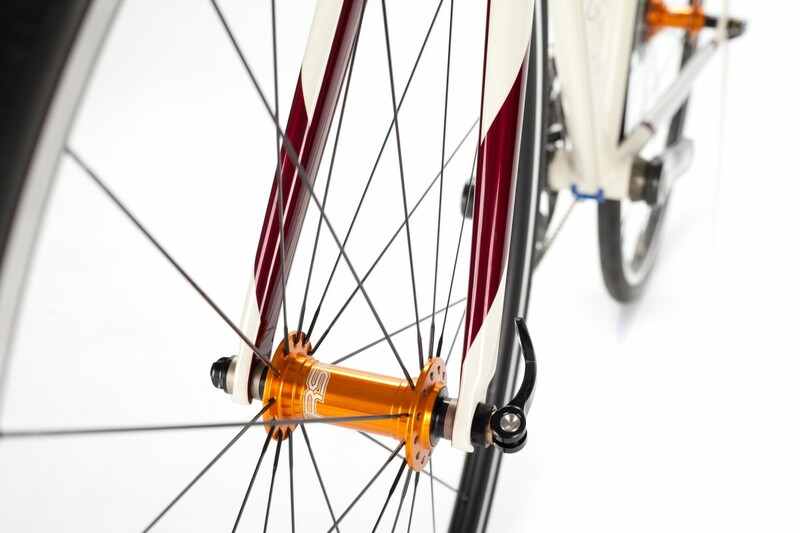 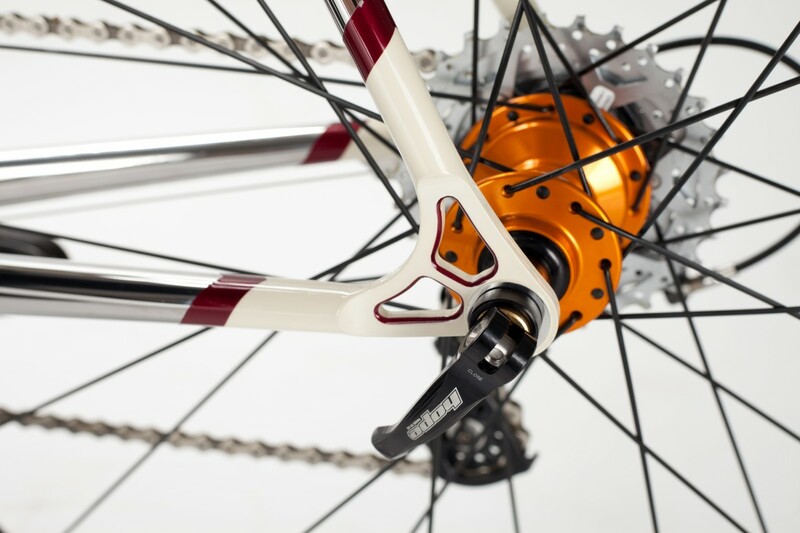 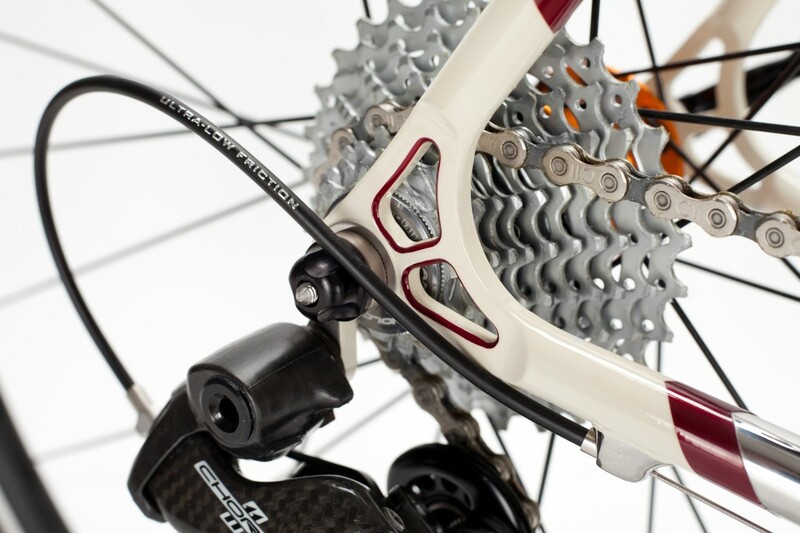 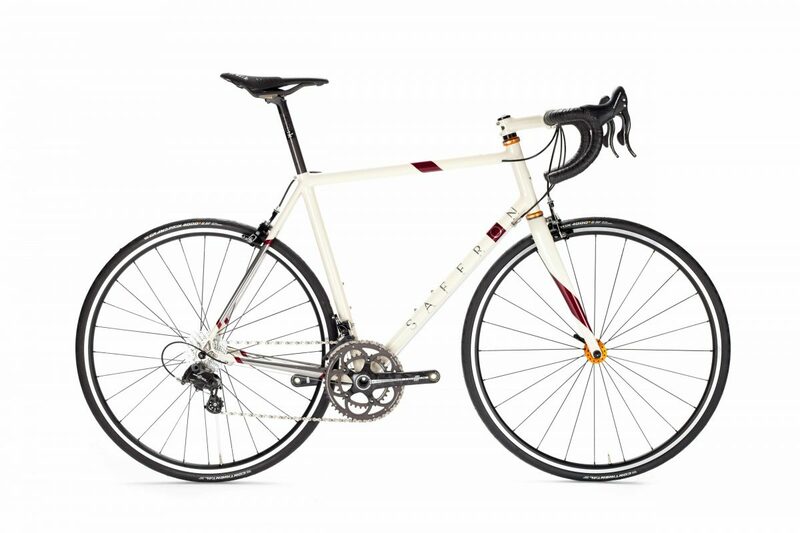 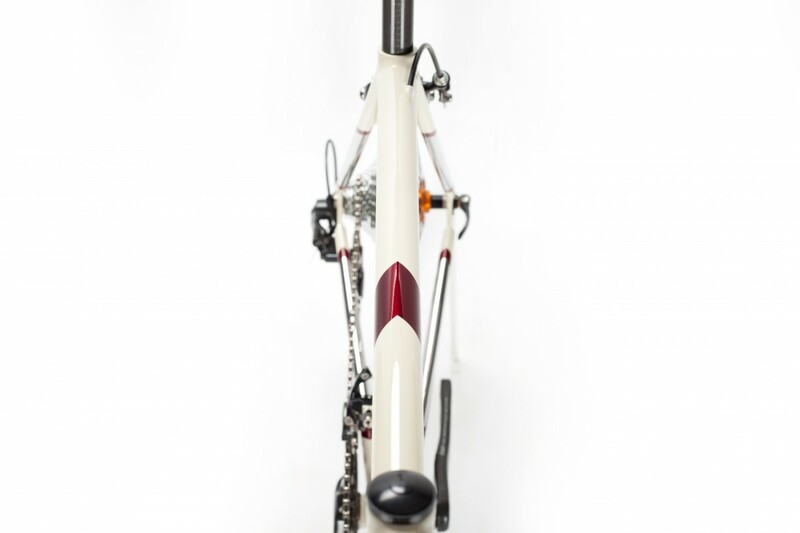 Hand-built wheels and a Campagnolo Chorus groupset bring the complete bike in at around 8kg.